Howdy everyone. Just a note to inform you that the IAC15 Aerobatic Box will be open to IAC members for practice June 2nd, 2018 from 9am to 4pm. Meeting and parking at Advanced Aviation South of Hangar 5. Due to a scheduling conflict, the fall social event scheduled for October 21 is being rescheduled for a future date; likely after the first of the year. Update: this event is being rescheduled. A new date will be posted on the IAC15.org website. Join Chapter 15 for a fall social event. BBQ, brats and drinks will be served. Side dishes suggestions will be made on RSVP confirmation. I am sorry to report the passing, on September 25th, of Roy Thorton. Roy was a great supporter of our sport and particularly the Kansas City Aerobatic Club. He was a wonderful inspiration and mentor to all who knew him. Roy’s obituary can be found in the September 28th edition of the Kansas City Star and on the McGilley Funeral Home website. Our hearts and prayers are with his wife, Jan and family. Below is a short letter from Roy’s wife, Jan. It is with great sadness that I have to tell you of Roy’s passing on Sunday, the 25th of September, at St. Joseph Hospital. He fought a short but critical battle with congestive heart failure for the last couple of months but he was not able to overcome the odds against him. He passed quietly Sunday afternoon. The obituary will be in the Kansas City Star on Thursday, September 28th. The visitation will be on Saturday, September 30th at 1:00 p.m. at McGilley’s Funeral Home followed by the service at 2:00. There will be a graveside service at Mt. Moriah Cemetery following the visitation and service and a reception at McGilley’s Funeral Home following the graveside service. There will be plenty of food and everyone is invited. Roy loved a good time with his friends and family and we hope to visit with as many of you as possible who can attend. Just a quick note to remind you of the IAC15 meeting Monday evening, September 25th,7 pm at Signature Flight Support on the West side of New Century Air Center. Looking forward to seeing you there. Hello everyone. Just a note to remind you of the Aces High contest at Newton Ks. (KEWK) on September 9th & 10th. Are you ware of any IAC 15 pilots heading to Newton, KS for our 2017 ACE’s High Contest? With the pre-registration system down we’re having trouble getting decent estimates on how many pilots are competing. 2017 will be a Power-only contest as the USAFA Glider Team is not attending this year. We’re also looking for another Judge. If any of your guys are interested we’ll reimburse lodging expenses. Anyone planning to participate or who could help with the contest, give please give David a call or send him a note. The next IAC15 meeting will be September 25th. Hello everyone. Just a note to remind you of the play day at IXD, New Century Air Service FBO on the East side of the airport; this Saturday, the 22nd of July. The airspace NOTAM is published for 8am to 6pm. I’d like to get response from those who might be interested in flying so I can plan accordingly. It’s forecast to be the hottest day of the year so an early show for flying would probably be in order. So, please respond if you plan to attend Saturday. IAC 15 will have the box over KIXD open on Saturday, July 22nd starting at 8am. Those interested should meet at New Century Air Services on the east side of the airport. Hello everyone. A few notes about upcoming events this month. 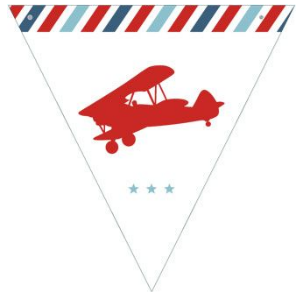 VAA Chapter 16 would like to invite IAC Chapter 15 to their annual fly-in this weekend on June 23-24, at the Gardner Municipal Airport (K34) in Gardner, KS. Friday, June 23rd will feature a pot-luck dinner and movies on the field. Saturday the 24th, enjoy breakfast from 08:00 – 10:00 am; pilots eat free. Burgers and dogs for lunch and a shrimp boil in the evening. Sounds like a fun weekend for sure. There will be an IAC15 chapter meeting June 26th at 7 pm at the Signature Flight Support FBO on the West side of New Century Air Center. We’ll get an update on everyone’s flying activities and ask for interest in using the aerobatic box in the future this Summer. Plan to attend the meeting and we’ll see you there. Theme by IAC15. Valid XHTML 1.1 and CSS 3.